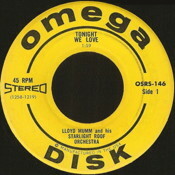 Omega's foray into the singles market consisted mainly of cuts taken from their tape and LP albums. However there are several releases with tracks that do not appear anywhere else. These intriguing singles suggest there may have been entire albums that never saw release. 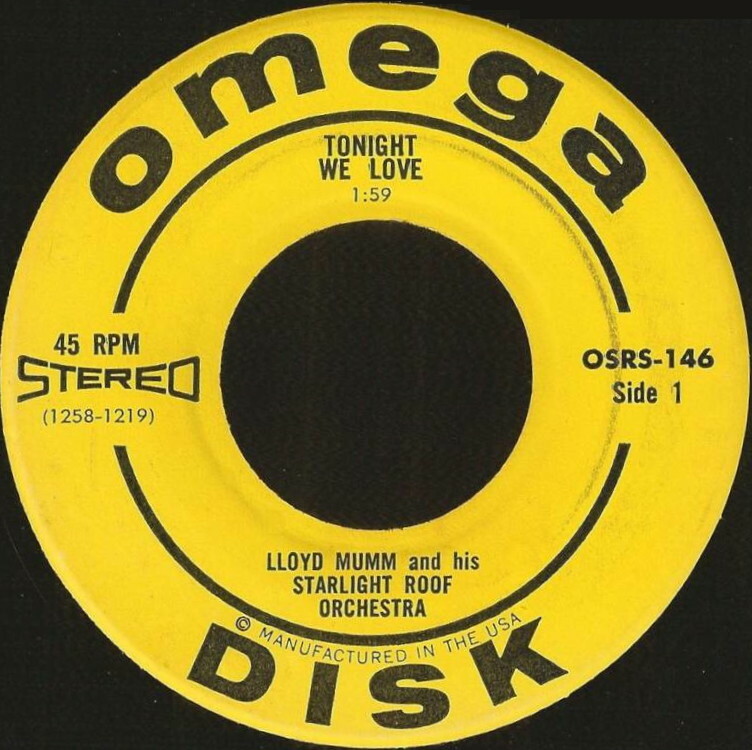 Unlike most labels of the time, Omega issued 45 rpm singles in stereo; the releases from 700 onward did not say stereo on the label so their two-channel bona-fides are unconfirmed. OSRS 101 From Cinema Italiano. OSRS 131 From Flag Wavers. OSRS 132 From Opus Number One. OSRS 133 From Salute to Perez Prado. OSRS 135 From Marx Makes Broadway. OSRS 137 From Marx Makes Broadway. OSRS 139 From Salute to Perez Prado. OSRS 140 From Swing Low Great Clarinet. OSRS 141 From Salute to Glenn Miller. OSRS 142 From Swing Low Great Clarinet. OSRS 145 From Have You Met Miss Jones? OSRS 146 From Champagne Music for Dancing. OSRS 149 From Champagne Music for Dancing. OSRS 150 From Champagne Music for Dancing. OSRS 152 From Have You Met Miss Jones?. Don't Worry 'Bout Me / Where or When? OSRS 155 From Swing Low Great Clarinet. OSRS 156 From Big Sounds by the Bay Big Band. OSRS 159 From Salute to Duke Ellington. OSRS 161 From Opus Number One and Latin Heat. OSRS 163 From Flagwavers and Big Sounds by the Bay Big Band. OSRS 167 From Latin Heat. OSRS 169 From Latin Heat. OSRS 170 From Pink Champagne for Dancing. Beer Barrel Polka / ? OSRS 175 From Dixieland Mambo. OSRS 178 From Latin Rock. OSRS 701 Dance the Night Away / Dig! OSRS 705 From Dreamsville / Early Bird.